Following recently reading one of the first books in Stripes Publishing new Red Eye YA Horror series, Frozen Charlotte which was released on 5th January 2015 I have had the absolute honour of putting some questions together for the author Alex Bell. This is no ordinary Q&A! Oh No! This has Questions with a TWIST! And answers that are CHILLING AND CREEPY! Do you dare to read on? We’re waiting for you to come and play. Dunvegan School for Girls has been closed for many years. Converted into a family home, the teachers and students are long gone. But they left something behind…Sophie arrives at the old schoolhouse to spend the summer with her cousins. Brooding Cameron with his scarred hand, strange Lillias with a fear of bones and Piper, who seems just a bit too good to be true. And then there’s her other cousin. 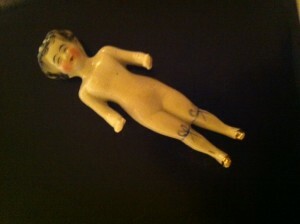 The girl with a room full of antique dolls. The girl that shouldn’t be there. The girl that died. Alex Bell was born in 1986. She always wanted to be a writer but had several different back-up plans to ensure she didn’t end up in the poor house first. For some years these ranged from dolphin trainer to animal shelter vet but then, at fifteen, she had an epiphany involving John and Robert Kennedy and decided to become a lawyer instead. To that end she eagerly started a Law degree. Whilst at university, she wrote a grand total of six complete novels (admittedly there was not much of a social life during this time). The second book got her an agent with Carolyn Whitaker of London Independent Books but, unfortunately, not a publisher. The third book, written during her first summer holidays off from university, found a home with Gollancz. The Ninth Circle came out in April 2008 with possibly the most beautiful cover ever created. Since then she has published novels and short stories for both adults and young adults. After deciding to use her Law degree for good, instead of for evil, she also works as an advisor for the Citizens Advice Bureau. Most of her spare time consists of catering to the whims of her Siamese cat. Frozen Charlotte is a YA Horror with a contemporary makeover. Set in a creepy old school house on an isolated windy island Sophie finds hunting for answers about her cousin Rebecca’s death a dangerous, creepy affair! What’s more Rebecca used to play with some small dolls called Frozen Charlotte dolls and as well as looking creepy they may just be alive! Find my full review here. 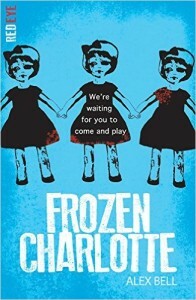 In the hope of gaining an interview with the wonderful author Alex Bell I seemed to have encountered a creepy Frozen Charlotte doll sitting in my lemonade who seems rather worryingly eager to answer my questions and bite me….I am actually slightly scared! SEND HELP! Erm……Hi! Do you have a name? My name is Charlotte. We’re all called Charlotte. Why are you and all of the dolls named Frozen Charlotte? Where does the name come from? We’re named after a Victorian girl who rode to a ball in an open carriage. Her mother told her to wear her cloak so she wouldn’t catch cold in the snow but Charlotte didn’t want to crease her dress and she also wanted everyone to see how pretty she looked as she rode by. By the time they arrived at the ball she had frozen to death and was stone cold dead. Ha! Get it? Stone cold dead! Hee, hee, hee! Charlotte is cold, cold, cold. Could I have a picture? As you can see, I’ve got my gold shoes and my stockings but I still need someone to make me a dress – a pretty one that doesn’t have any bloodstains on it. I also want a bonnet. How long have you lived in the Old School House? Since 1910. It was a proper school back then with lots of girls to play with. They used to make little dresses for us out of scraps of fabric and sometimes we had fake funerals with tiny graves in the garden. We like being dead. You’d like it too. It’s such fun. Who do you play with in the house? Sometimes we play with Rebecca. She’s dead too. We love playing games! Do you want to play a game with us now? How about the Knife Murder Game? Or Push-Teacher-Down-The Stairs Game? Or – I know! I know! – let’s play the Stick-a-Needle-in-Your-Eye Game! That’s my favourite! Ooh, I love that one! I’ve heard you also like to cause trouble? What kind of trouble do you cause? We don’t cause trouble! We only want to make friends and play games. Where’s the harm in that? You shouldn’t play with needles or matches, though. That can definitely lead to trouble. Where are you kept in the Old School House? Inside a locked doll cabinet. Do you like being locked in the cabinet? Would you like being locked in a cabinet? Do you know what happened to Rebecca? Rebecca died. Out on the cliff top. She was naughty. Very naughty. Okay now I’m thoroughly creeped out and as I was hoping to speak to the author Alex Bell today I guess I will have to ask YOU a little about the book! What role do you play in the book Frozen Charlotte? We just want to make friends with Sophie and Piper and Lilias. Not Cameron, though. We hate Cameron. In fact, we wouldn’t mind if we never saw him ever again. We wouldn’t mind if he had some kind of accident out on the cliff top. It’s easy to have an accident out on the cliff top, you know. What should the reader expect from reading the book? They should expect to visit a converted schoolhouse on the Isle of Skye with a great location, beautiful views and lots and lots of antique dolls to play with. Some of the games get a bit scary, though, so they probably shouldn’t read it if they’re going to whine and cry all the time and spoil the fun. We get angry when people spoil the fun. 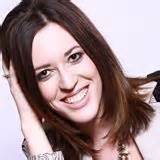 What’s happened to the author Alex Bell I was hoping to interview her? She’s off playing the Knife Murder Game. She may be gone for some time. Phew – I’m so glad you take kindly to interviewers! Our pleasure. Now how about we liven things up with a game? I would like to thank Alex for taking the time to answer these and feature on Tales Of Yesterday. It really is an honour and I look forward to reading more of her books and more of the Red Eye series. Have you read Frozen Charlotte? What did you think of the Q&A above? Are you intrigued to read? I would love to hear from you! Why not leave a comment by using the reply button at the top of this post or tweet me on twitter using @chelleytoy! 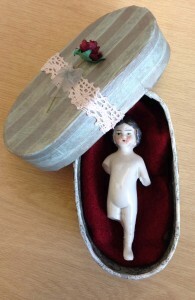 Happy hiding from Frozen Charlotte Dolls….I mean Reading! 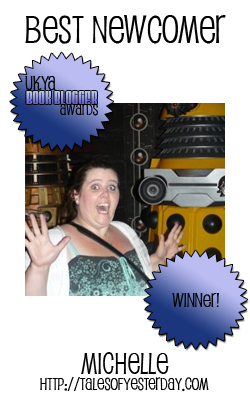 This entry was posted in Author Q&A, Horror, UKYA, YA and tagged Alex Bell, Do YA Read Me, Frozen Charlotte, Horror, Q&A, Red Eye, Stripes Publishing, UKYA, YA on January 11, 2015 by Chelley Toy. Now I’m really creeped out…… but excited to read it.